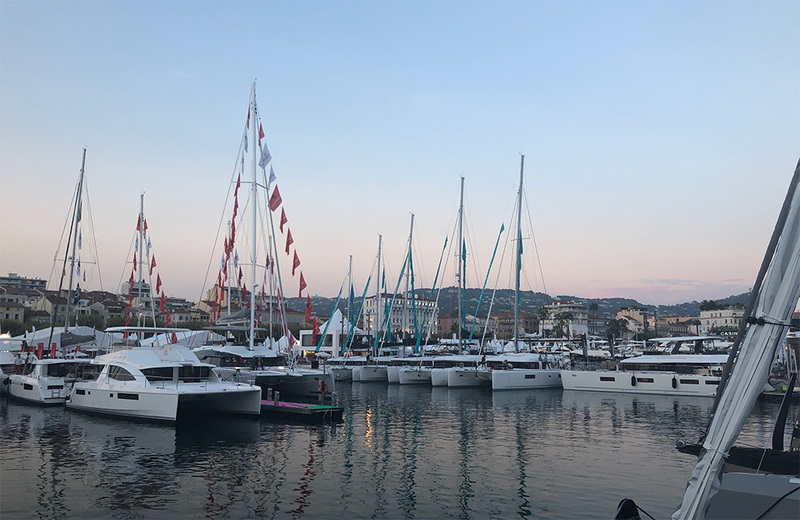 Outremer Yachting completed another successful Cannes Yachting Festival in the historic Cannes Harbour. Just Catamarans thanks all our clients and the entire Cannes Show staff that made the show a success. 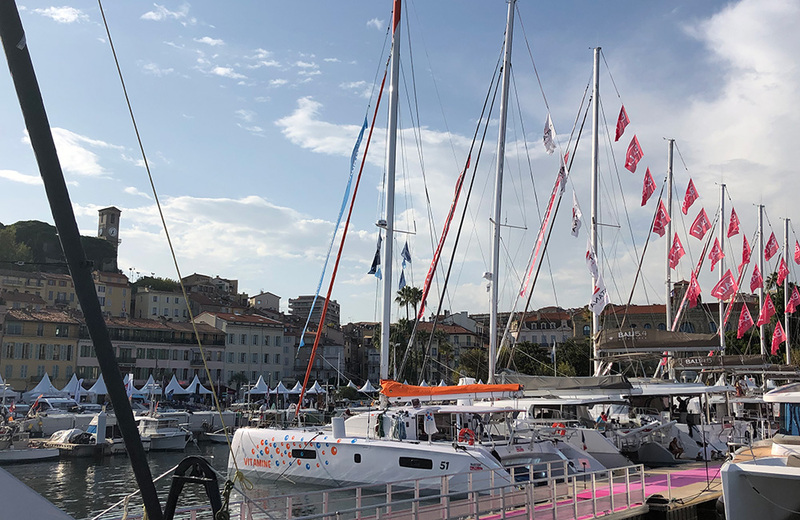 The Just Catamarans team of Stuart Eichner and Thomas Chambers attended the show to help Outremer clients who traveled from North America and South America. 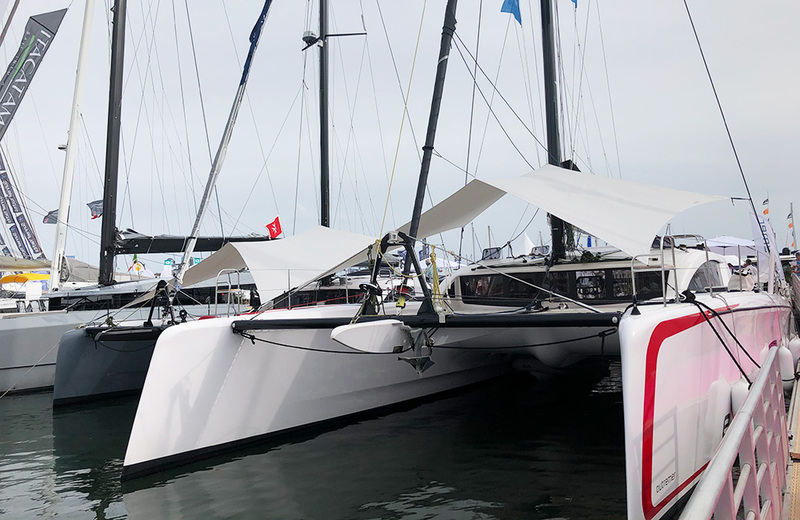 Outremer had 3 Catamarans on display. The Outremer 4X, the Outremer 51 and the Outremer 5X. Sea trials were made on the Outremer 4X during the show. See the photo recap below. The Outremer 51 Catamaran VITAMINE stood out with her delightful orange accent colors. 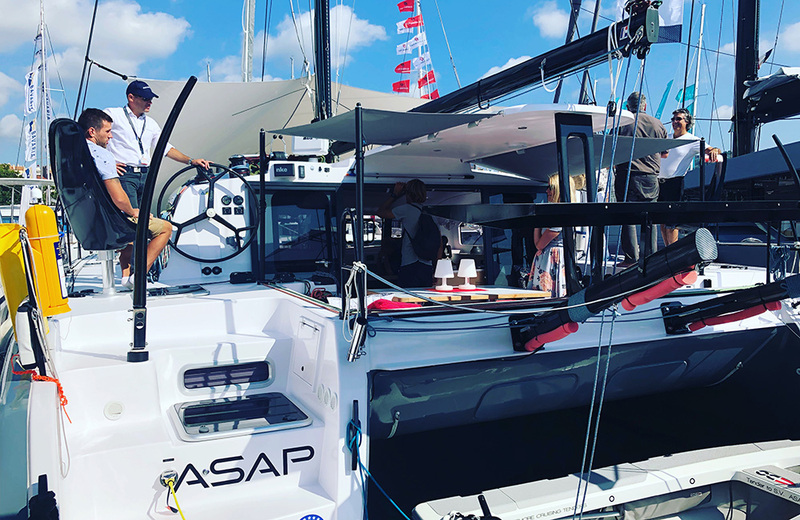 Outremer 4X Catamaran ASAP was popular during the entire the show, boasting a Canopee for the bow of the boat. 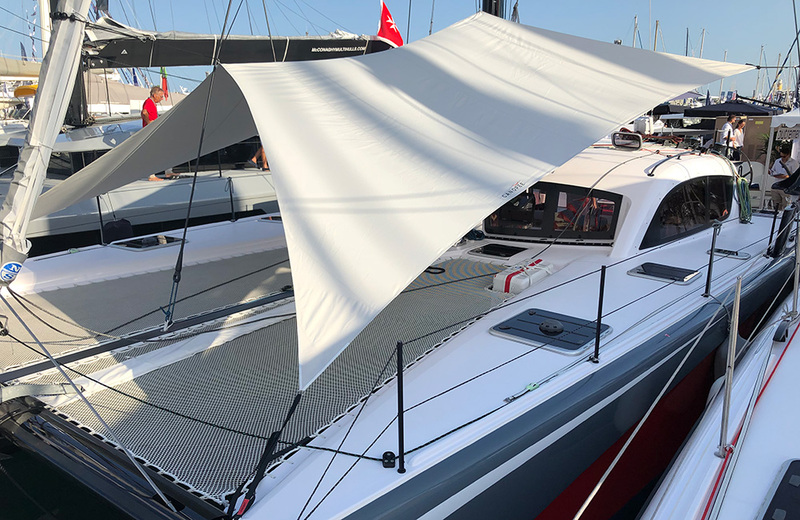 The Outremer 5X Catamaran EXCALIBUR was a talk of the show with her reverse bow and tight lines, the best performance Catamaran at the show. With Boat Show season in full effect, Just Catamarans will be at the Annapolis Boat Show next week, October 4th. Click here for full details.